This week at CPS we were sponsored by the "Keep In Touch" Card Shop. The lovely owner, Kelly McMaster, sent each CPS designer a different kit based on our individual styles. How awesome is that?! Be sure to check out her cute little online shop, and be sure to get your card done for this week's sketch! Get it linked up to the Mr. Linky post, and you will be entered to win a kit from Kelly!! Check her blog post here for details! This is my card for sketch #105 this week at CPS....everything on this card except the cardstock and "thanks" rub-on sentiment are part of my kit contents from Kelly. 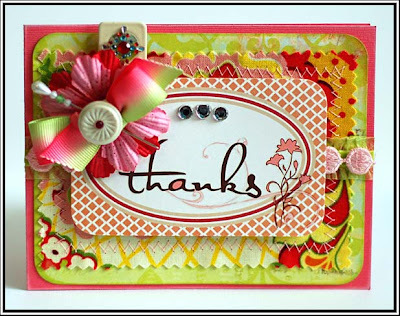 I adore all the bright colors and fun embellishments she sent...I embellished this little card until my heart was content! :) And this card was done using up some of the paper scraps and more cute contents from the kit. The only items not from her kit on this one are the letters. This card was also inspired by THIS awesome ad challenge at a new card challenge blog called 365 Cards. There is a fun challenge every single day at this blog, so be sure to check it out! The colors in the add, and the great wall art in it provided my inspiration for this one! Now let me tell you...it has been a crazy day! As many of you know, I work for a television station. We have stations in 4 cities in the state, including Bozeman, Montana. This morning around 8am there was a large explosion most likely caused by natural gas in downtown Bozeman that completely destroyed 5 businesses. So- it was obviously hopping at my place of employment today. Once we caught wind of what was happening...I was on the phone calling Bozeman reporters and anchors in...people were running up and down the stairs from the news room to the studio...cut-ins all morning long whenever we got breaking news....just craziness all day long! All but 1 person is accounted for right now, and we are all hoping for a good outcome there. And while it was a crazy day...it was very rewarding to know that we did everything we could to make sure our viewers were kept notified on the situation. Well, I am off to watch the American Idol wild card show! Hope you have a great Thursday night! I love love love the Oh Happy Day Card!! Love the colours, love the layout. Did I mention that I love it?? Makes me feel happy!! Wow wow wow! The layers on your cps card are brilliant! Love your CPS thanks cards....the mix of patterns is soooo fun! 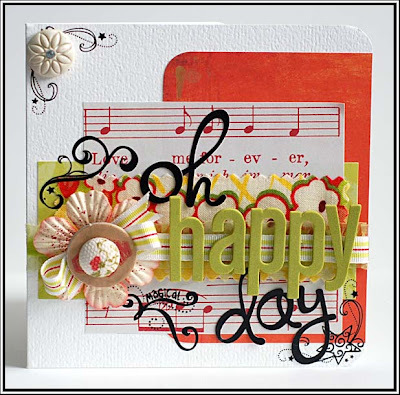 I absolutely ADORE your Oh Happy Day card!!! Thanks for playing along!!! Incredible Lea! These are so beautiful! 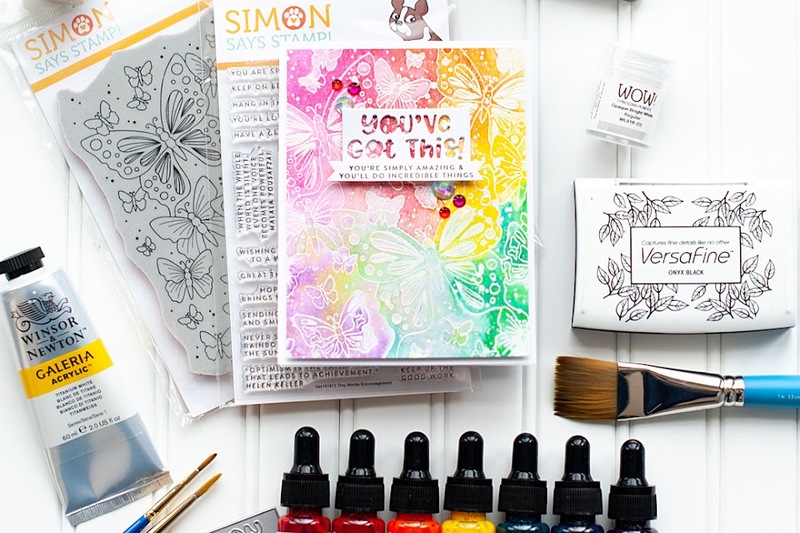 I love Kelly's kits because she sends the coolest variety and you definitely knew how to use the assortment. Awesome! I adore your work Lea!! Thank you so so much for your sweet comments! I'm honored and thrilled you liked your lil kit! These are completely fabulous Lea! I love the lime, red, pink color combo! Lea, I absolutely love these 2 beauts. They are Tres Chic!!! Thanks for the nice compliment over at my blog for the butterfly card. It was much appreciated. Wow, Lea - more stunners! Checking out your blog is always a treat - thanks for joining us!! Beautiful cards ! I love your style ! Thanks for playing with us ! Oh my! These are gorgeous. What a fabulous mix of elements and your designs are outstanding! Wow Lea! These are gorgeous!! Fabulous cards, so bright and cheery! Thanks for stopping by my blog and for the sweet comments! Your cards are gorgeous! Love the Oh Happy Day!! OMG!!!!! I am in love with these, the colors are just fantastic!!! Glad to hear that nearly everyone was okay after that explosion. What a scary thing. Your work is inspiring! What totally beautiful cards - so unique! Your cards are just plain totally wonderful and gorgeous, Lea! I love the color scheme you received in your kit and you showed all the pieces of so neat! WOWZERS!! gorgeous cards!!! beautiful colors! You seriously make the most BEAUTIFUL cards, girl!! I LOVE your card! sooo pretty!! glad everyone is ok.. that is a scary thing! and I will be checking out the link you shared! I love bright colors and these cards are so pretty. I had no idea that you work for a TV station, how fun, not when the news is not good. `Wow` Lea as gorgeous as gorgeous can be!!! WOW WOW WOW, first visit here and will be coming back more often! Your cards are so detailed and full of texture, you are amazing! your cards are so unique and colourful. Wowee Lea! These are both amazing! Sounds like a crazy day!! 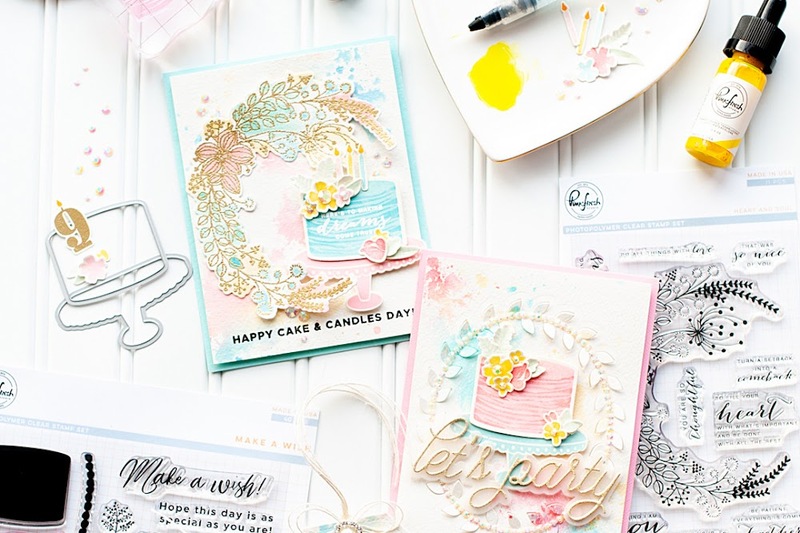 Love the cards- all of the layers and embellishments are gorgeous! Gorgeous and so full of inspiration! Yum!! Gorgeous cards, Lea! Love all the little stamping doodles!! 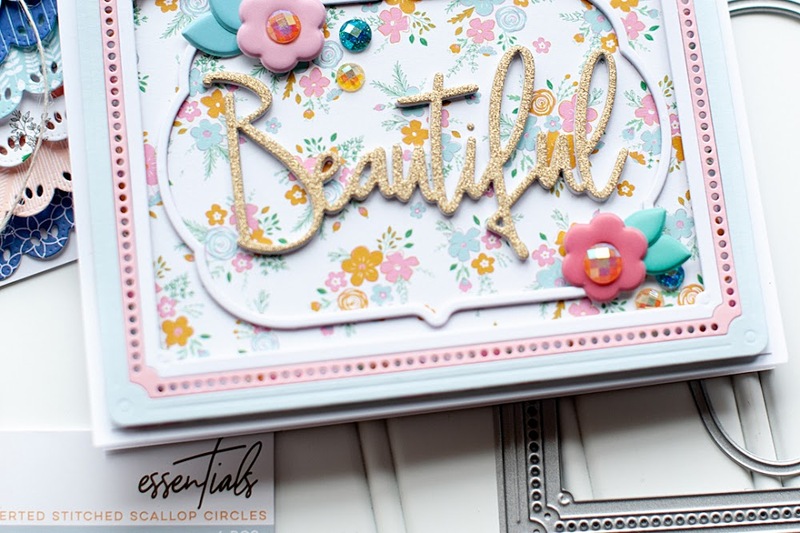 Really need to pull out my flourish stamps after seeing your gorgeous creations!! Love the colors on both of these, wonderful job!